Peerless interior painting of Tampa Bay provides high detail painting services for your home or office. Our crew of highly skilled painters will provide you with a detailed estimate and color sample. Peerless interior painting of Tampa is bonded-licensed (PA2902) and insured. Your next interior painting project is important to us and we always strive to provide the best customer service with your project. Color choices and samples are offered to help with the color and sheen selection process. For example, you may want a more durable/washable coating in your child’s playroom or a low VOC/green coating may be the best option if you want to avoid any fresh paint smell. During your project, our crew will take every measure possible to protect your furniture and flooring. All furniture is moved and covered with paper and plastic; or, we will relocate as necessary. When our crew is working we always utilize drop cloths and paper to protect carpet and flooring. Peerless painting contractors Tampa provide residential and commercial professional interior painting for homes and commercial buildings in the metro areas. 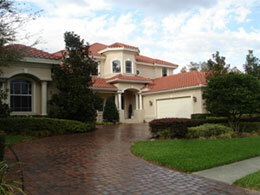 We are licensed bonded and insured and utilize the highest quality coatings with proper preparation.